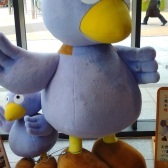 On the third floor of Lalaport in Fujimi there is a Kiddy Land store. It has a few different character "towns" including Rilakkuma and Sumikko Gurashi. But their Snoopy town is particularly big and ever popular. The Snoopy Town in Kiddy Land Lalaport Fujimi not only has a great selection of Snoopy goods from aprons to zoukin, it also has a choice of exclusive goods. Fujimi, the name of the city that Lalaport is located in, means Fuji view. 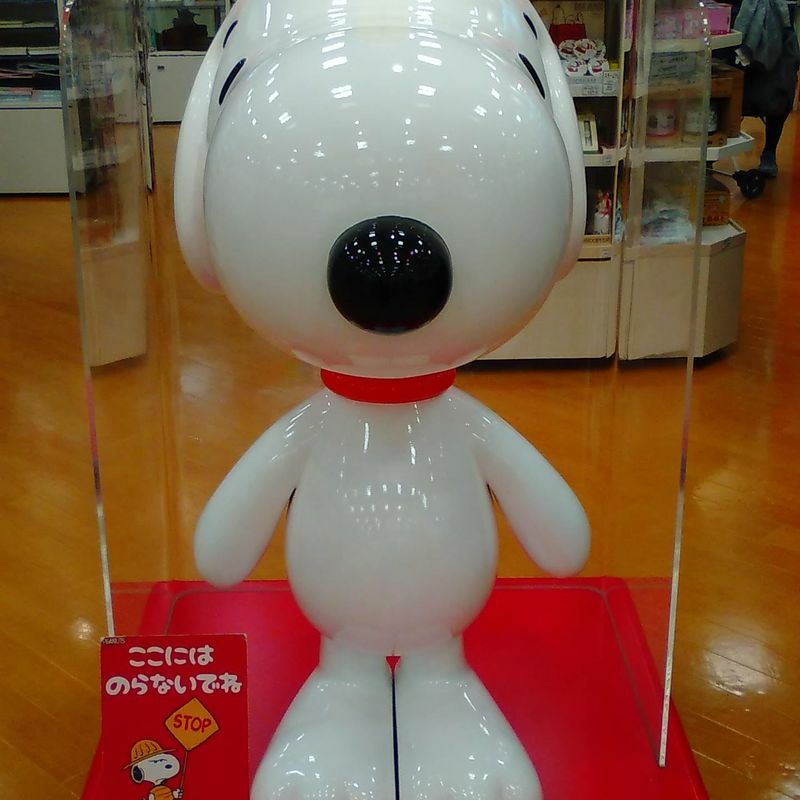 The exclusive Snoopy goods on sale in the Lalaport Fujimi branch are Snoopy and friends back dropped by Mt Fuji. The choice isn't vast, but it is decent enough especially considering this is the only branch you can buy the Fujimi Snoopy goods. 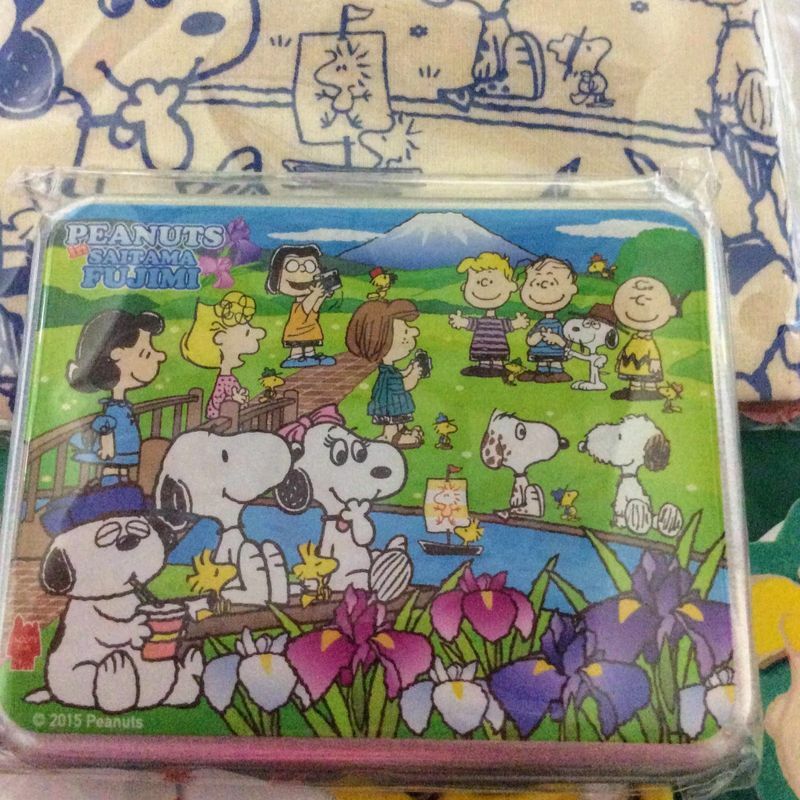 I picked up a couple of small items for my Snoopy loving friends including a tote bag and candy in a reusable tin case. They were very reasonably priced considering. The candy was 580 yen and the tote bag only 500 yen. 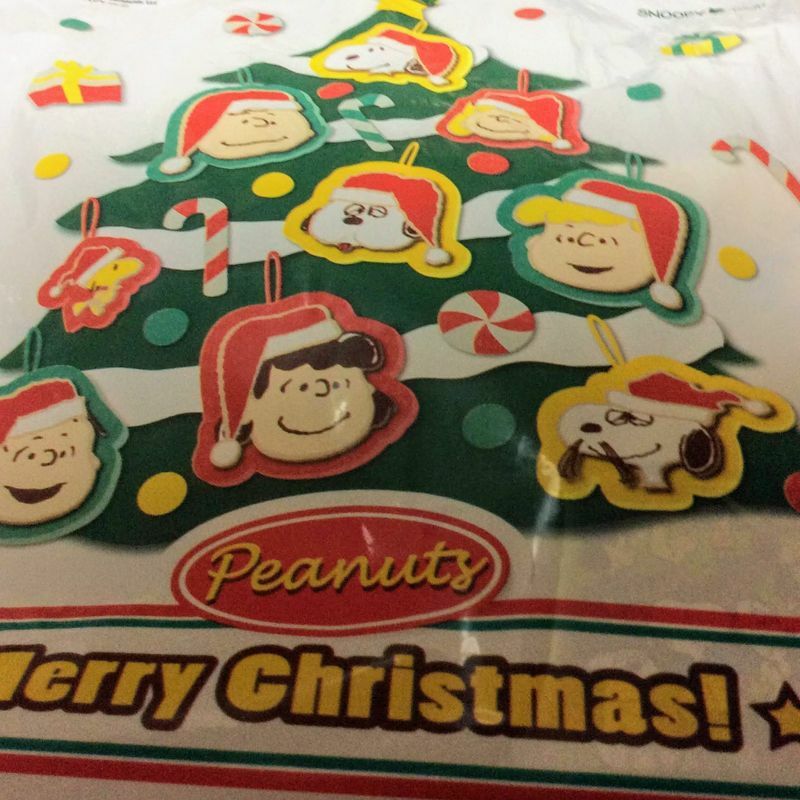 And they came in a cute Snoopy christmas tree bag to boot!